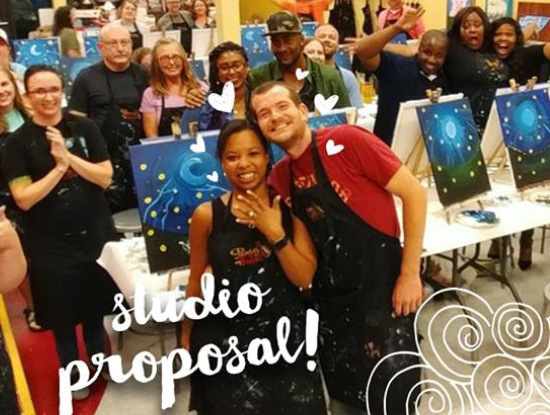 Are you looking for a new experience to have fun? We have the answer! We’re a fun art, not fine art! 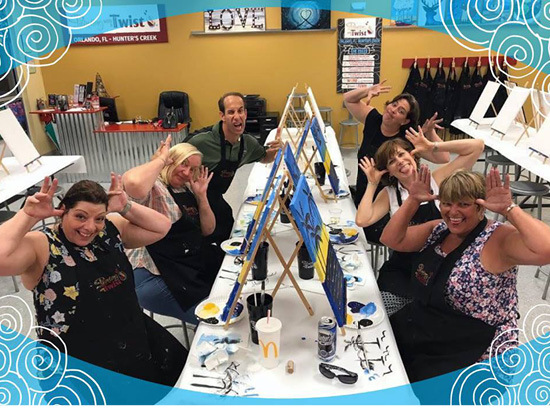 This is a great place to have fun with your friends or meet new friends; you can relax and just let your hair down, or you may simply discover your inter artists! 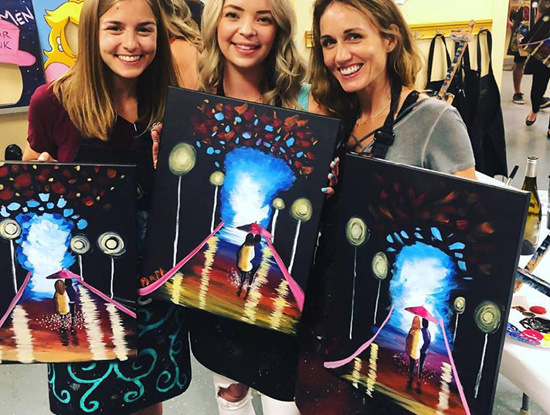 Bring a favorite bottle of wine or other beverage and paint along with our artist to create your won work of art that you will take home at the end of the evening, We’re art as a party!